So You're Dating a Brit- Club Biscuits — Always Packed for Adventure! it's been many months since I've written a "So You're Dating a Brit" post. We have had two groups of visitors from England and both brought us treats! When Dan's parent's visited us in September, they brought a bunch of treats, that on his parent's insistence, I hid from Dan. He can go through the treats way faster than I can and in my defense, i wanted to taste everything for blog reviews! We forgot about the treats and within the last month, rediscovered them in my gym clothes drawer. This is where I fess up and admit that my big plans of hitting the gym, now that I am a SAHG, have not happened. Why start now? With only a few weeks before 2013, going to the gym get's moved to my New Years Resolution list. You know, stuff that I should have been doing all along, but will put off until the new year starts, when I can be serious about it. New Years Resolutions are a procrastinators fail safe. 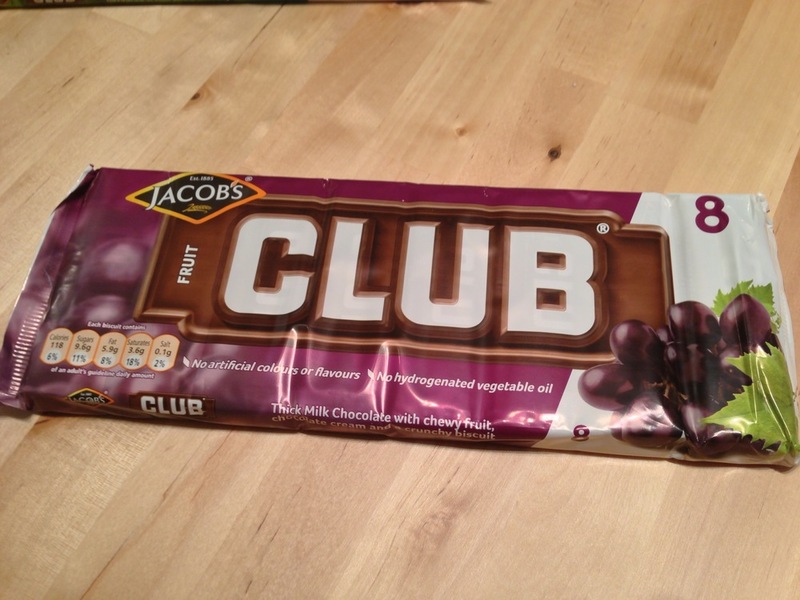 Out of my gym drawer, came my new favorite snack from England, Jacob's Club Biscuits. Dan's parents gave us a variety pack, which included the following flavors, fruit, mint and orange. 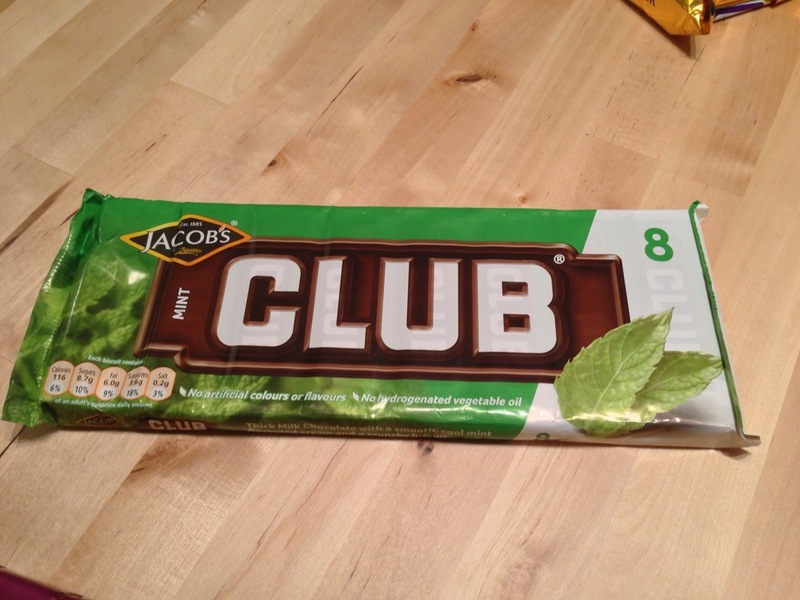 A variety pack of Jacob's Club biscuits. Club Biscuits are light cookies with a filling (fruit, mint, orange) and covered in thick chocolate. They are delicious and I can't think of anything that is even a close American equivalent. To me, it feel more closely related to a candy bar, than a cookie, but it has elements of both. If America had an equivalent, i imagine that Pepperidge Farms would manufacture it. The biscuits only contain around 120 calories each and are so rich with chocolate, that I found it difficult to eat more than one. It's a perfect nibble for chocolate lovers. 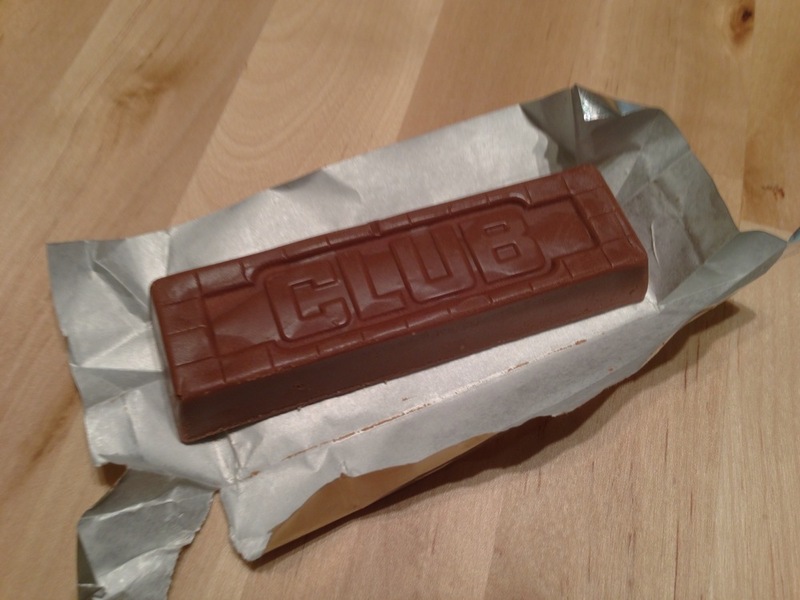 When looking up information on the club, I saw that they also make it in a honeycomb variety, which I need to try! Here's a great television spot from the 80's.